Welcome to the retail centre of New Zealand. Auckland Shopping is easily the best in the country, everything from Maori arts and crafts, to unique souvenirs and high end designer stores. Polish off the plastic and get ready to shop. Shopping in Auckland is conveniently split into easy-to-define sections, so if you know what you want, you know where to go. Many designer labels can be found at the Atrium, Queen Street and Chancery Street. Other shopping hotspots include Newmarket and K-Road, Parnell and Remuera. 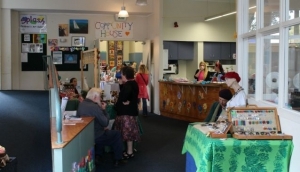 A short ferry ride to Devonport provides a selction of arts and craft shops.